Lizzie Sparkes is navigating life quite nicely. She has a good job, a nice house and she is months away from marrying the man of her dreams, Josh. But just when her life looks set to be heading in one direction, the arrival of Alex looks set to turn things upside down. So who is Alex? Well...Lizzie was certain that Alex was The One back when they were at uni. As far as she was concerned he would be the one she would spend the rest of her life with. Yet something happened between them that ended up tearing them apart. It took her a while but Lizzie managed to move on from her painful break-up with Alex and has built herself a happy new life with Josh. But the arrival from her past suddenly stirs up all kinds of confusing emotions and feelings for Lizzie, especially once she hears what Alex has tracked her down to reveal. So who is really The One for Lizzie? Is there any such thing, or can your heart belong to two people at the same time? I had been hearing so many incredible things about Maria Realf's debut novel that I decided to sneak this one up my ever-increasing 'To-Be-Read' pile a few notches...And I was extremely glad I did, because I fell in love with this novel, hook, line and sinker. I will admit to having pre-conceived ideas with regards to the relationship between Lizzie and Alex. As soon as I started the story it was clear to me that Lizzie was perfectly happy with Josh, and Alex had obviously hurt her in some way in the past. Who was he to then rock up and claim he wanted her back? However, the reality was a million miles away from this. I was desperate to find out what had happened between Alex and Lizzie all those years ago, but I was worried about her meeting up with him in case he tried to lure her away from the life she had made for herself. I soon discovered that Alex had a genuine reason for getting back in touch with Lizzie and as soon as it all became clear my heart broke just that little bit and I suddenly felt in a massive quandary on Lizzie's behalf about what the right decision was going to be. I am so impressed that this is only Maria's debut novel. 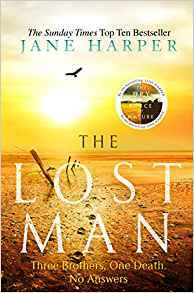 I absolutely loved her writing, she has such a distinctive voice and she has weaved such an intricate and clever plotline into a cracker of a novel. Whatever you do, don't dismiss this novel as your run-of-the-mill cheesy romance because it is SO much more than this. It will really wriggle itself inside your brain and leave its mark. Maria is dealing with issues that are so much more serious than will-they-won't-they (although as a romance fan I often think of this as a pretty serious issue anyway...Is that just me!?) 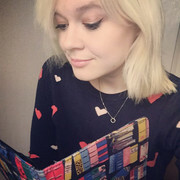 She writes about these issues sensitively, subtly and beautifully. I could not be more excited about discovering Maria Realf. 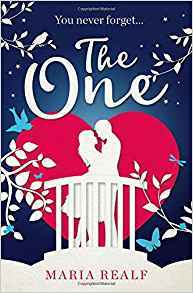 Advanced praise for The One likens this novel to works by JoJo Moyes and Cecelia Ahern and whilst that is a mahoosive claim, it's one that I fully believe is justified. A huge thank you to Maria for the opportunity to review.